We offer Eight (8) Fonts. Brock Script, Victorian, Wedding101, Times, Edwardian, Bridal Script, French, and Curlz. the Smaller Letters are approximately 3" tall. 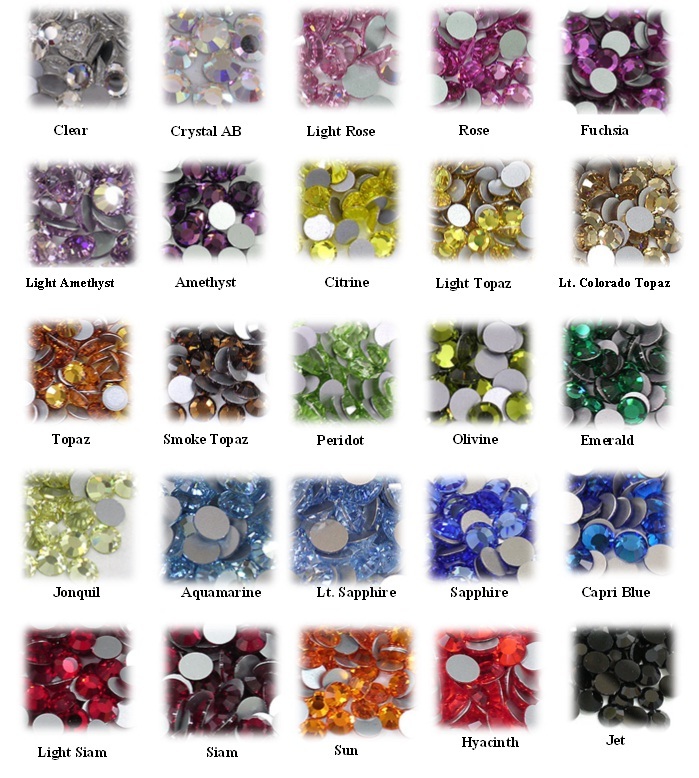 ​Pictured below are our most popular Swarovski crystal colors. If you don't see your crystal color that dose not mean we don't have it. Send us a email with the crystal color you would need and we respond to your email with in 24 hours. We have over 100 Swarovski crystal colors in stock.